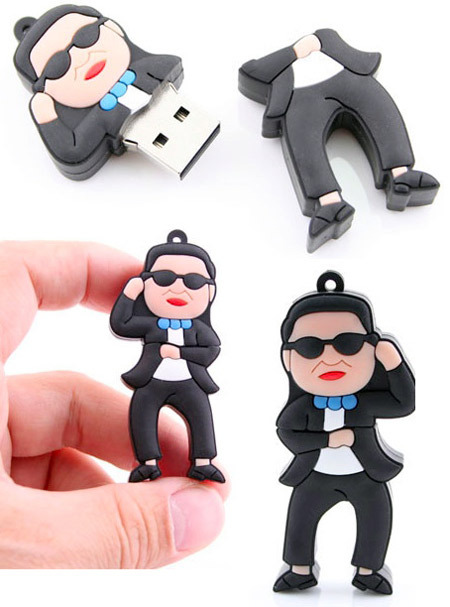 Now you can store from 4GB to 32GB of your favorite dance moves on a little PSY Gangnam Style USB Flash Drive. 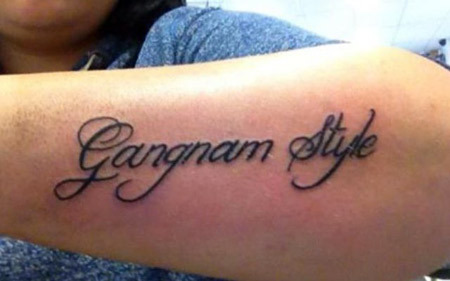 Think you like “Gangnam Style?” Probably not as much as this crazy fan who got the phrase tattooed across her forearm. 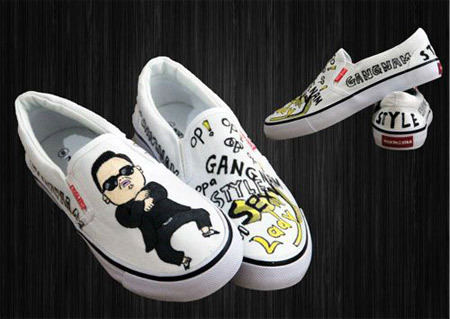 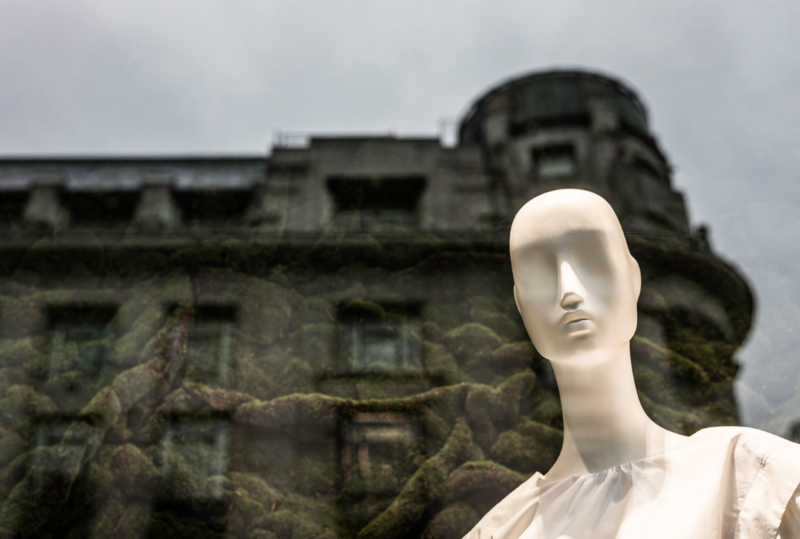 At least the term “Gangnam Style” represents people who are trendy and hip. 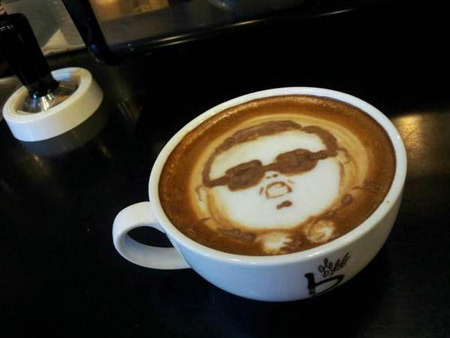 An espresso drink with a beautiful Gangnam Style portrait in the foam. 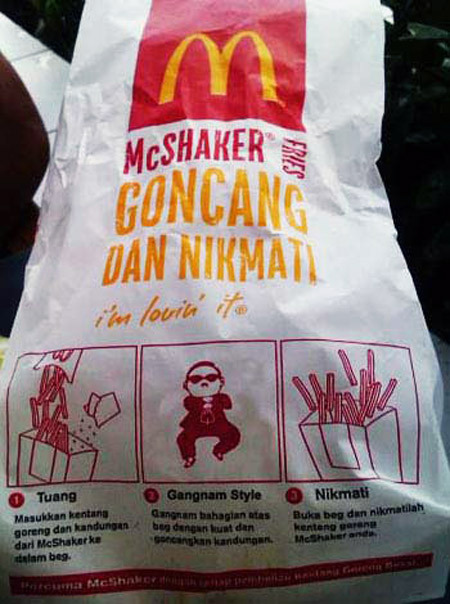 Just when you thought Psy and his Gangnam Style was already everywhere, it seems you can order a side of Gangnam Style McShaker Fries in Malaysia. 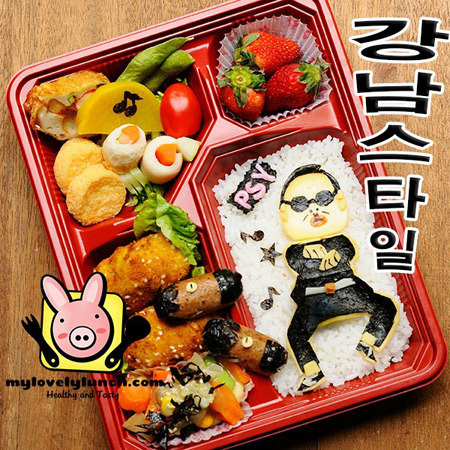 According to the instructions, all that's required is for the consumer to sprinkle the contents of the seasoning packet into the bag of fries, then close and shake it by doing Psy's “horse ride dance” from Gangnam Style. 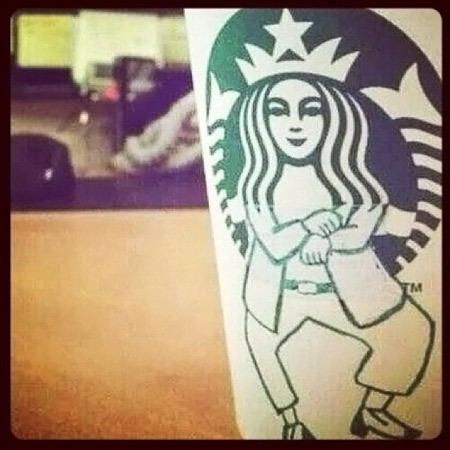 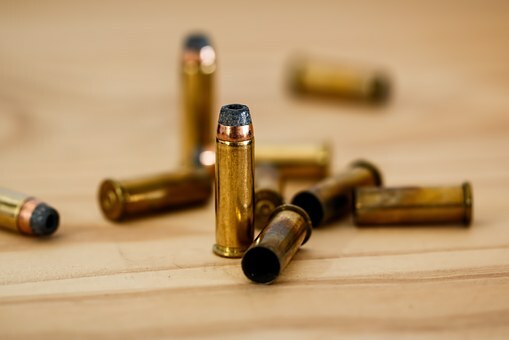 This would result in a bag full of McShaker “Gangnam Style” fries. 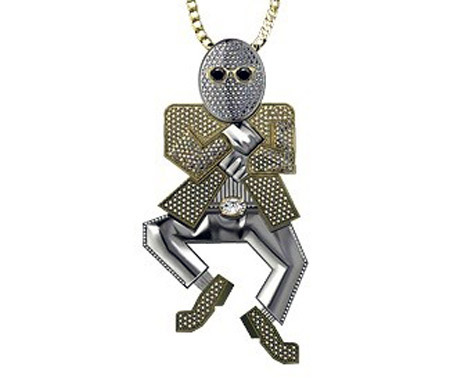 "Gangnam Style," the catchy song by the artist Psy, has also sparked a necklace which looks like Psy. 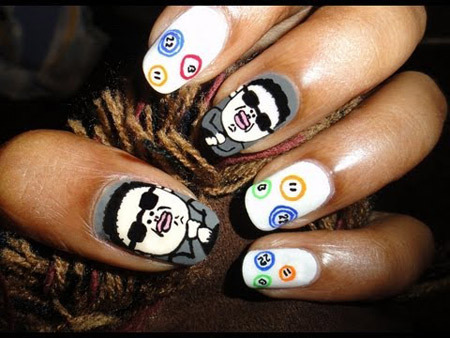 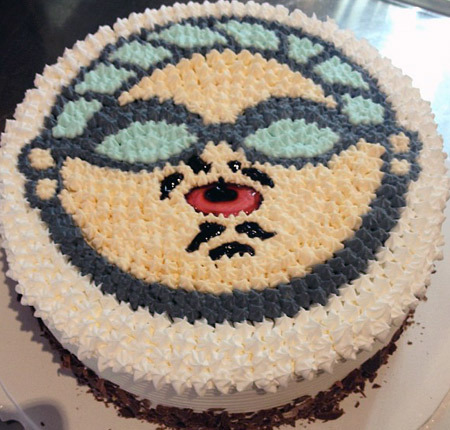 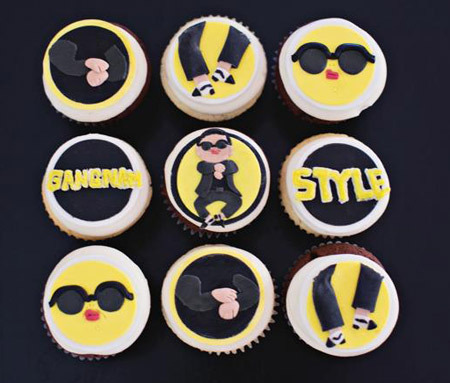 The Teacake Bake Shop made these amazing cupcakes celebrating PSY's shot to internet craze stardom! 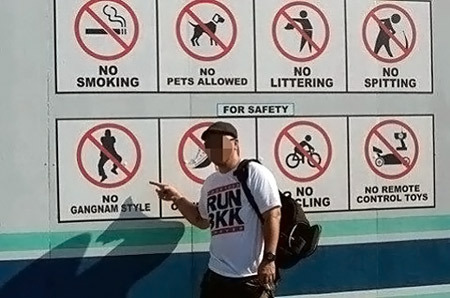 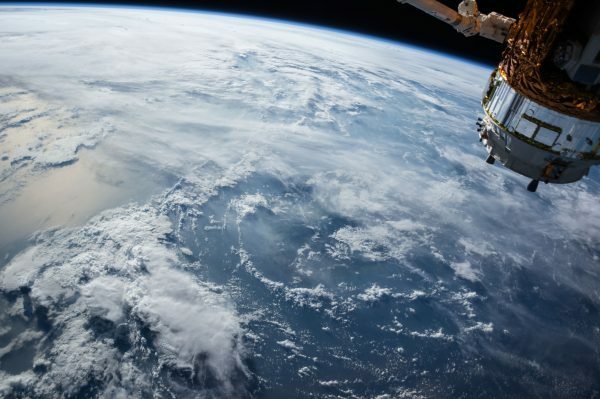 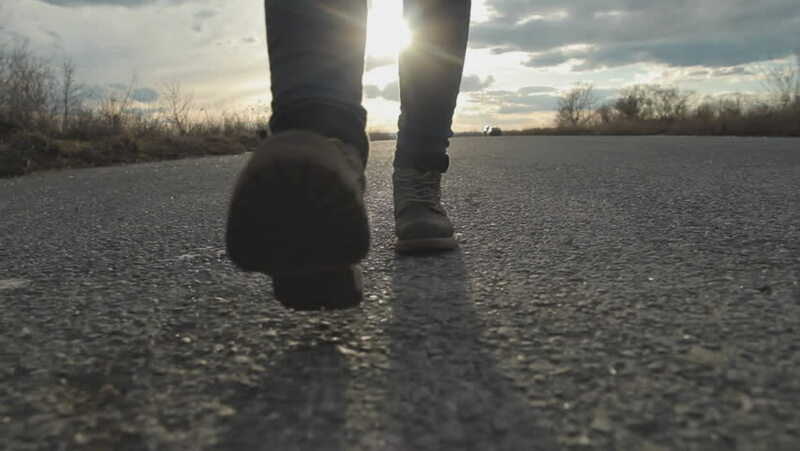 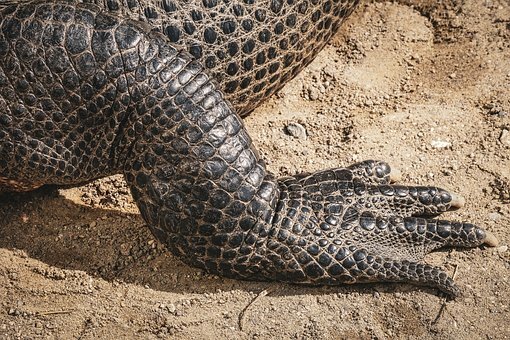 PSY's “Gangnam Style“ is proving to be so popular all around the world that it may even be getting ‘banned' for safety reasons.